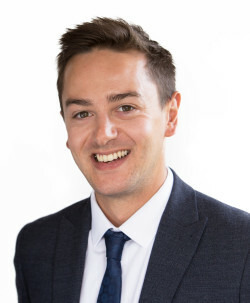 Jack is a Solicitor in our Corporate and Commercial Team, assisting with a broad range of matters including contract reviews and drafting complex commercial agreements. Jack graduated from Loughborough University with a first class economics degree in 2014, before going on achieve distinctions in the Graduate Diploma in Law (GDL) at the University of East Anglia (UEA), and the Legal Practice Course at Nottingham Law School. Jack was awarded the UEA Law School Prize for best performance in the GDL final assessment. During his training at Leathes Prior, Jack gained experience in a wide range of areas including dispute resolution, employment and commercial property. Jack qualified into our Corporate & Commercial Team in September 2018 and is able to advise and assist on commercial matters including contract reviews and drafting complex commercial agreements. In addition, Jack assists the team on various corporate matters including acquisitions and disposals, shareholders’ agreements and corporate restructuring. He also deals with sports matters including disputes and disciplinary proceedings. Outside of work, Jack enjoys playing football, sailing, following Norwich City FC and is passionate about all things American football. I found Jack to be very professional and very polite. All work was completed in time with no delays. Overall, I was impressed with the services provided by Leathes Prior Solicitors. Thank you.